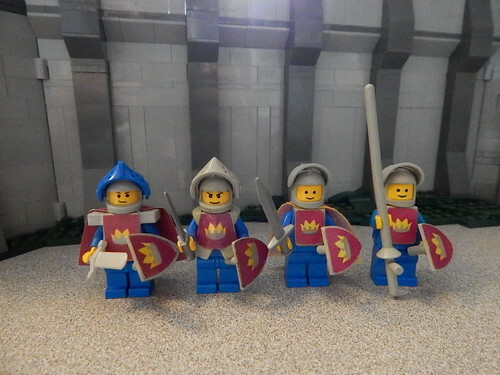 Considering I consider the Castle theme a very minifig based one in my collection, it's a bit odd I have almost never photographed any, even though some are quite interesting, at least to my eyes. So lets start showing off! 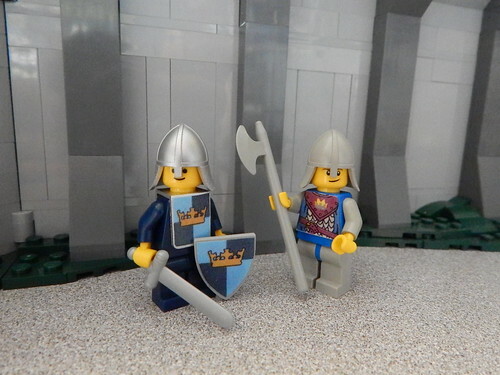 A couple variations of the Classic Castle Knight from 375. the guy on the left is the stock knight, in case you didn't know. 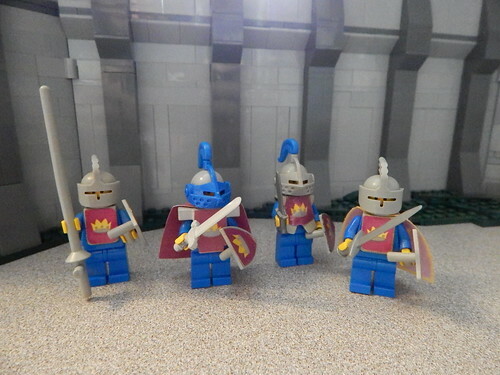 If anyone remembers the old CCRP (Classic Castle Roleplay) you might get a chuckle out of the Jayko faced knight. 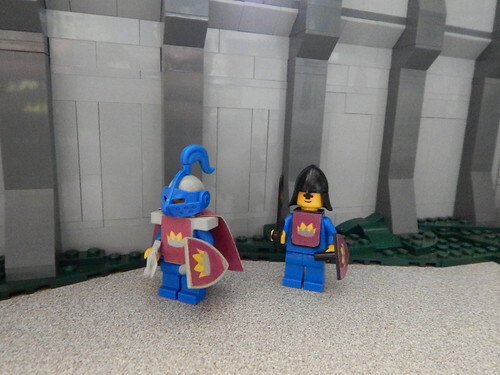 The blue visored knight again, but with his companion the Dark Cavalier. And for something slightly different, I took the classic Crownie, and the Fantasy Era Crownie, and kinda swapped them around. Great stuff! I like the mixing of the better new stuff with the old, brings them both together.